Hey everyone! Happy Monday! I hope your week is off to a great start! 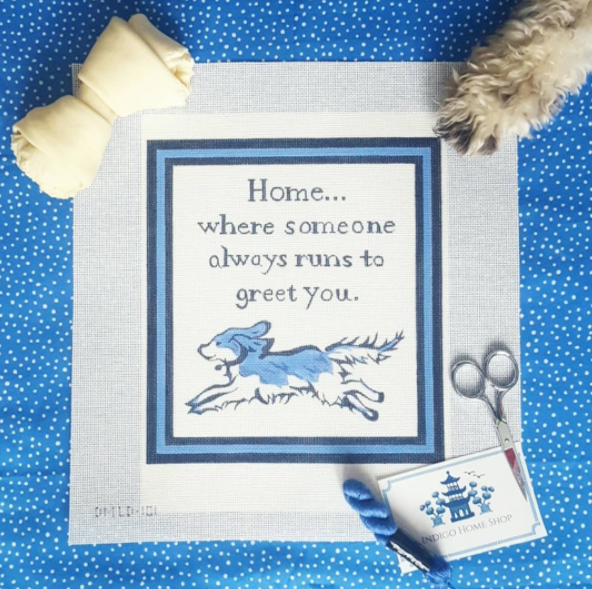 I was so excited last week when I saw that Lycette Designs had teamed up with Indigo Home Shop, that I had to share the news with you all myself! 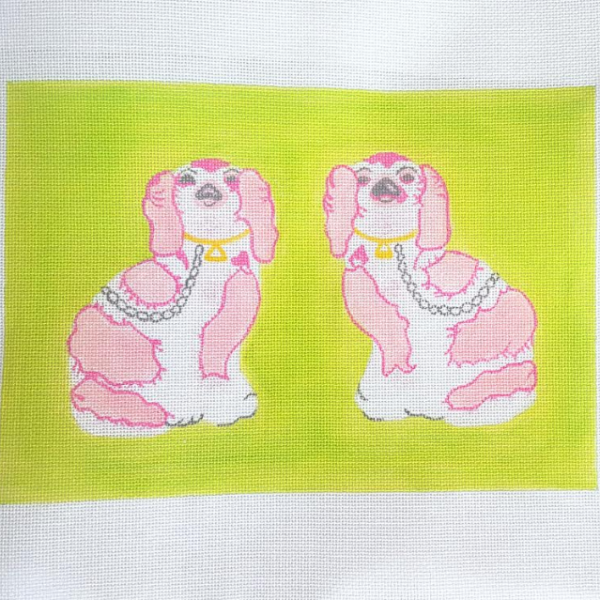 Lycette Designs now offers Dana’s work adapted into needlepoint canvases. I know this is going to be such a fabulous collaboration between two very talented artists. 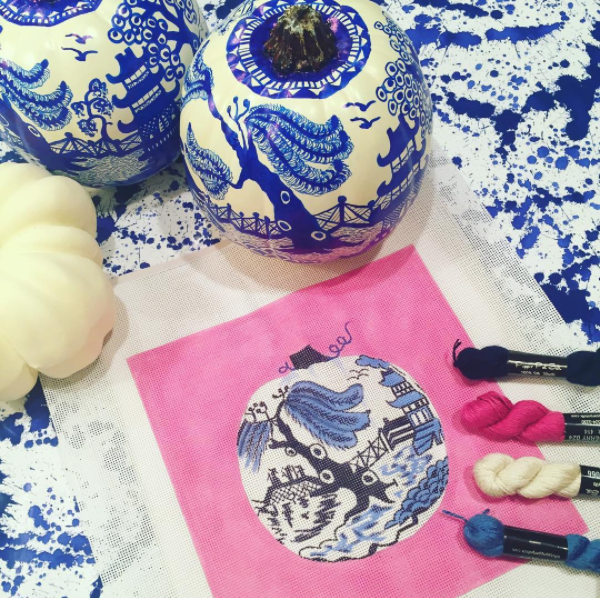 You may have heard of Indigo Home Shop for their chic Chinoiserie style pumpkins and dog bowls. 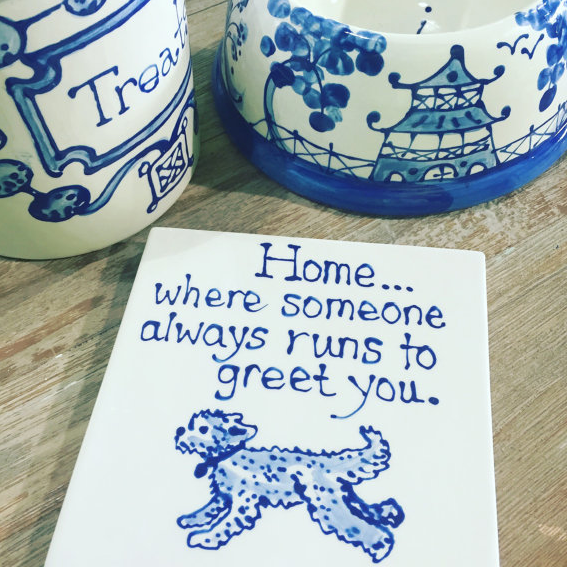 Dana also designs these darling puppy dog trivets that read “Home… where someone always runs to greet you!” I think they’re just precious! 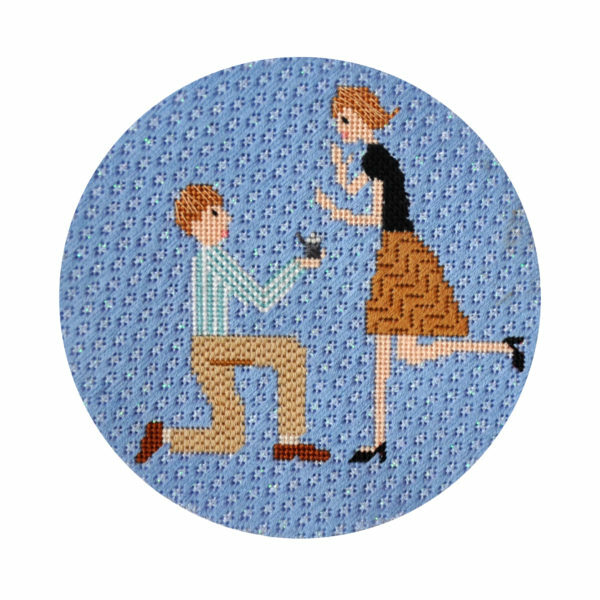 BUT wait until you see the design adapted to needlepoint… I don’t think it gets much cuter than this! 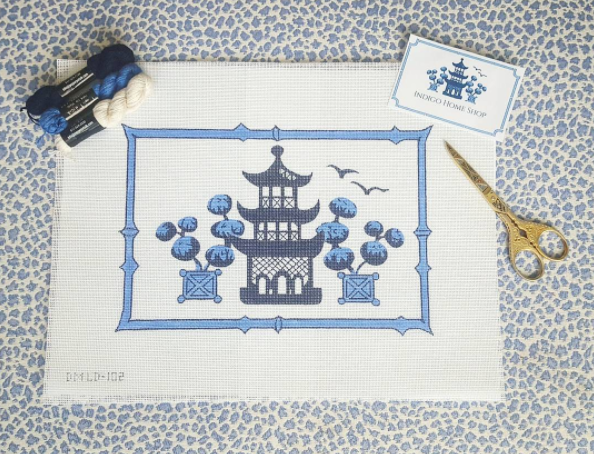 The third design in the series right now is this Chinoiserie style Pagoda. The blue and white makes for such a classic, timeless look! 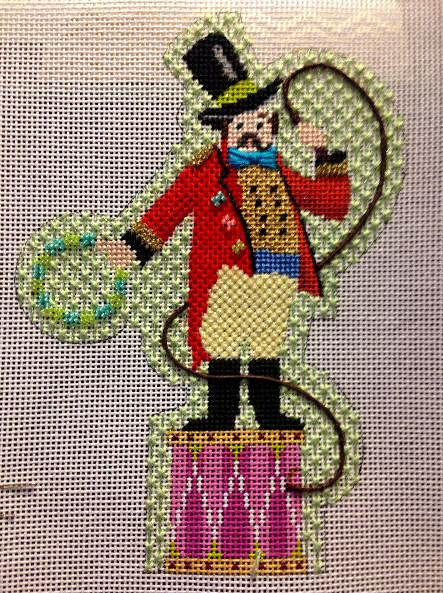 I can hardly wait to see these three canvases stitched and finished by talented needlepointers out there! 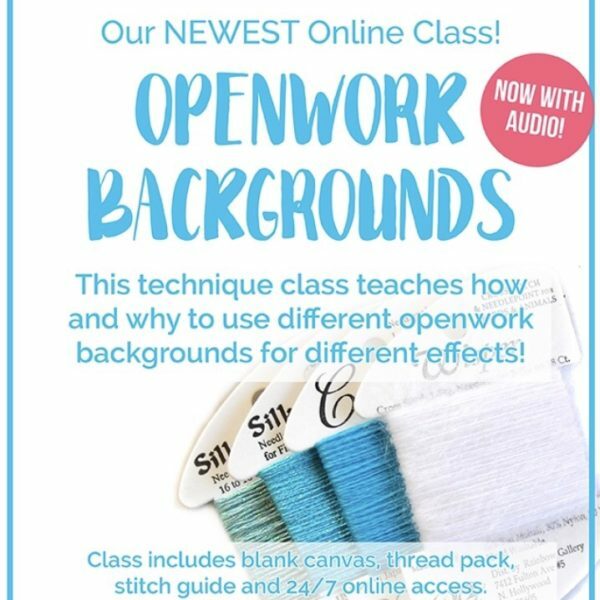 Between Tess and Thorn and Lycette Designs (both canvas designers) and Sweet Sundays (a blog that features both needlepoint and other sweet treats), I have been so excited and inspired to see so many young, fresh faces take the needlepoint industry by a storm recently! If you would like to order any of these three designs call the shop at 919-828-5538. We would be happy to kit them and ship them right to your home!